More alarming, for some, is the arrival this spring of a Hudson Valley version of the Hampton Jitney, the upscale bus that is a quintessential symbol of the eastern Long Island getaway. Line, a business-class bus service run by Trailways of New York, will ferry weekenders upstate for upward of $ 50 one way, offering them high-speed Wi-Fi, cappuccinos and locally sourced snacks. 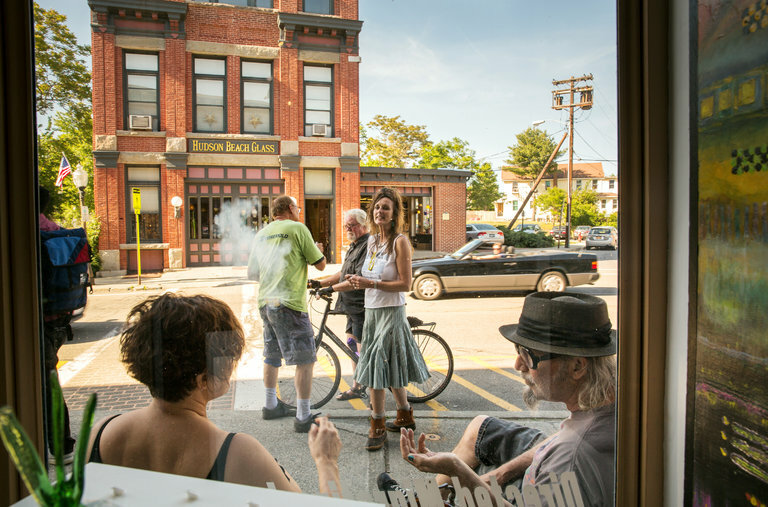 Destinations on the eastern shore of the Hudson, like Rhinebeck in Dutchess County and Hudson in Columbia County, have long been in the cross hairs of New Yorkers on the hunt for second homes. But now lesser-known areas on the west side of the river, including the Rondout Valley in Ulster County, are entering the fray. A sliver of land between the Shawangunk Ridge and the Catskill Mountains, the Rondout Valley is made up of hamlets like Kerhonkson, High Falls, Stone Ridge and Accord (pronounced AK-ord). 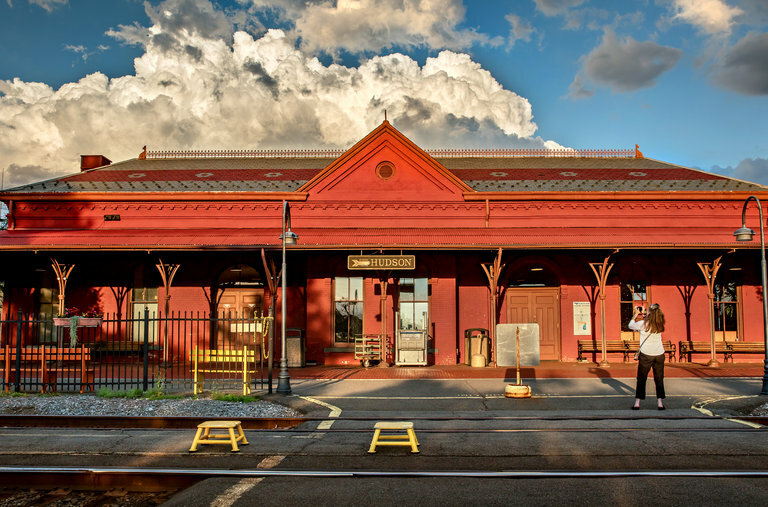 Helping drive the area’s popularity are the many activities on offer, from hiking at the nearby Mohonk Preserve to drinking micro-brews at Arrowood Farms and shopping for pricey antiques at Field and Barn. While some may find the spreading Hampton-ification of the Hudson Valley irksome, it has helped buoy the real estate market. In Ulster County, for example, home prices have been rising steadily in the last five years, although like those in many other regions, they were relatively soft in 2018 compared with the year before. In the fourth quarter of 2018, the median home value in Ulster County was $ 221,500, compared with $ 192,000 in the fourth quarter of 2013, an increase of more than 15 percent, according to data from the appraisal firm Miller Samuel. And last year, sales of homes valued at $ 900,000 or more nearly doubled, to 39, from just 21 the year before, according to data from the Hudson Valley Catskill Region multiple listing service. Instead, the couple began researching real estate upstate, specifically Hudson Woods, an Instagram-friendly development in Kerhonkson with 26 stylish homes featuring Scandinavian design and materials like local bluestone and white oak. The development, which opened in 2014 and is sold out, recently had its first resale. 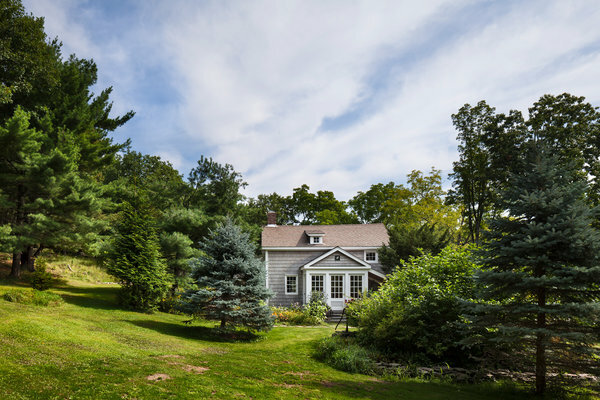 That home, a three-bedroom cabin on six acres with an in-ground pool, sold for $ 695,000 when it was brand-new in 2014. It was listed at $ 1.2 million late last year and closed in December for $ 975,000. Every house in the development has a name: Cat Hill has a glass fitness studio that appears to float against the tree line; TinkerBox Guest House has an oversized garage, a wine cellar and a furniture workshop. The couple settled on Creek House, a three-bedroom home on seven acres, set on a cliff overlooking Mombaccus Creek. “We decided to make the creek the focus of the house, because the site is very dynamic, set within the woods, and with the creek situated 100 feet below,” said Marica McKeel, 41, the architect and developer of Waterfall Properties. The listing price was $ 1.2 million, and Mr. Park and Ms. Kim closed on the home late last year for $ 1.05 million. In fact, Creek House was a rental property before Mr. Park and Ms. Kim bought it. The original owners moved to California and had listed it on Airbnb, which gave Mr. Park and Ms. Kim the opportunity to stay there for a weekend. There are few laws in the area prohibiting short-term rentals — unlike in the Hamptons, which has imposed several rental restrictions — although some towns have begun considering it. Weekenders renting homes through Airbnb is one reason Trailways of New York decided to introduce its new Jitney-like service. As part of its marketing, Line, which began running last fall, has partnered with local businesses like Harney & Sons teas in Millerton and Cold Spring Apothecary in Cold Spring. 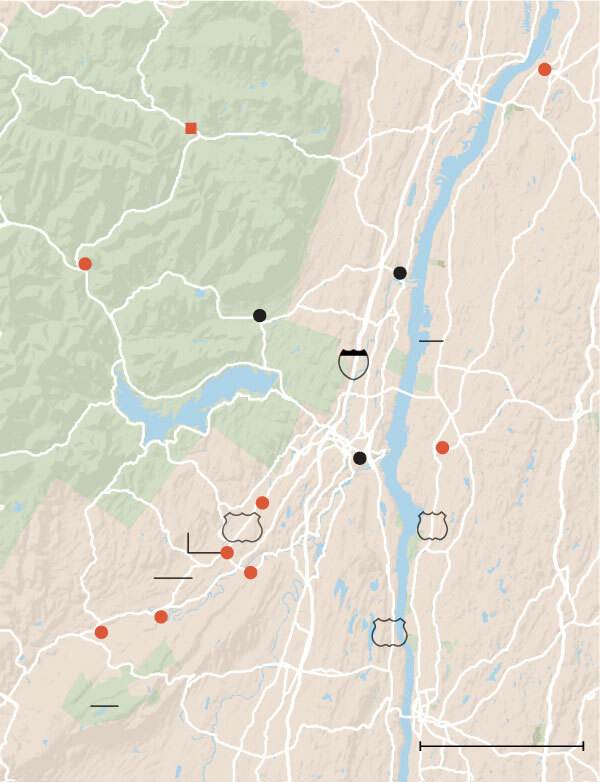 And the service eschews typical bus stops, dropping passengers instead at hot spots like Sweet Sue’s in Phoenicia and Scribner’s Catskill Lodge in Hunter. The couple paid $ 275,000 for their 700-square-foot cottage, which sits on five acres and includes a seven-acre plot nearby. They won out over three competing bids, made within 36 hours of the home going on the market.